BSO program is focused to variable star research, but spare observing time is sometimes used for astrophotogtraphy. Astrophotography is always low priority task at BSO. Observing time is used for variable star research and only when the TCMT would stay idle waiting for a target field to rise enough over horizon, some deep-sky object is centered and a few images acquired. This is how this image of the M33 Triangulum galaxy was acquired. 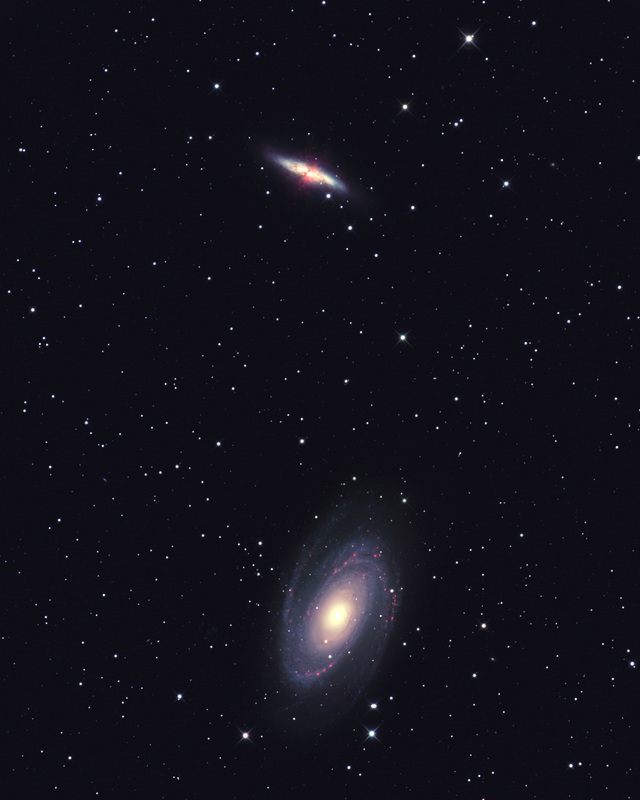 The 50 min luminance image was captured on November 22nd and the ~40 min Red, Green and Blue images on the following evening on November 23rd. 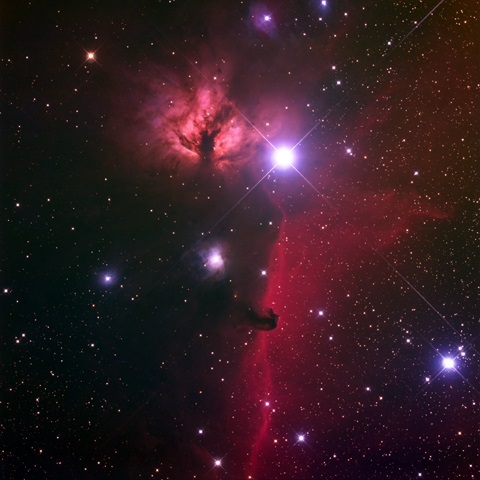 The final astrophotograph of the year 2015 is the Horse Head and Flame nebulae close to the bright ζ Ori star. 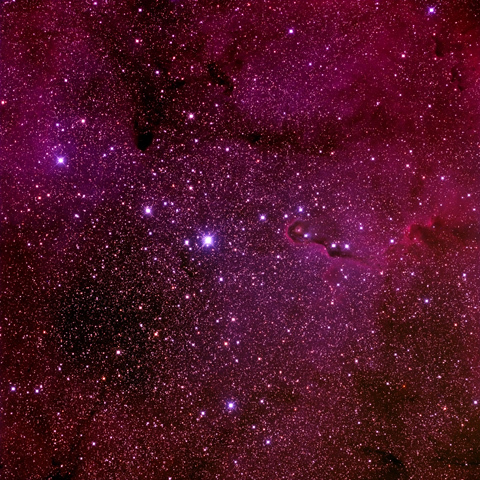 The exposure time is only 30 minutes per red, green and blue channels and it is obvious these rather dim nebulae need much longer exposure time, but the CzeV343 already raised high enough above the eastern horizon and TCMT primary purpose is research and not astrophotography, despite the undoubted beauty of the deep-sky objects. G4-16000 camera with RGB filters only, total exposure time 1.5 hours (30 minutes per color channel). One more remake of the most iconic galaxy, the M31 Great Andromeda Galaxy. Longer exposure, better tracking and wider field of view compared to image taken on 2011 resulted into significantly better image, much deeper and better focused. G4-16000 camera with RGB and H-alpha filters only, total exposure time 4.7 hours (70 minutes per color channel). 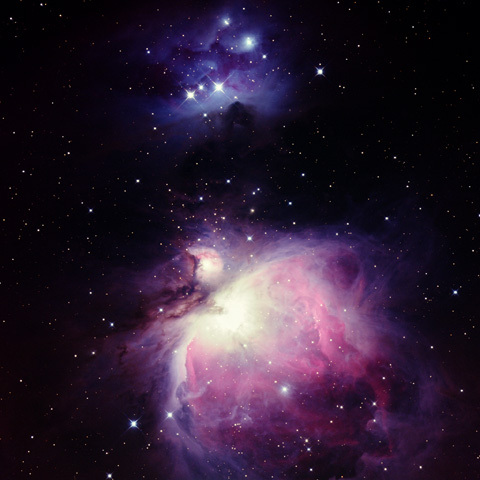 M42 Great Orion Nebula and NGC1977 Running Man nebula remake. Clouds were approaching, so the photomery would not produce long enough data series and Orion was just in front of the dome slot. TCMT field of view allowed capturing of wider nebula surroudings compared to image taken in 2013. G4-16000 camera with RGB filters only, total exposure time 80 minutes (~27 minutes per color channel). 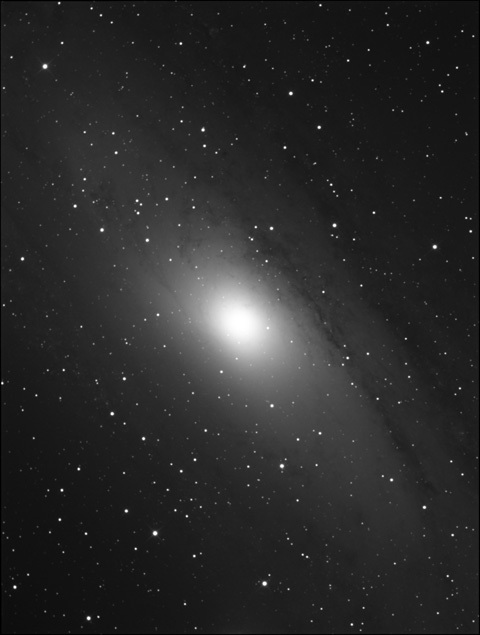 "Simple" processing, only slightly supressing the very bright nebula core relative to dim outer parts on the left. Advanced processing with higher dynamic range compression and thus better showing the Trapezium Cluster in the center as well as the dim outer regions on the right. M45 Pleiades open cluster. 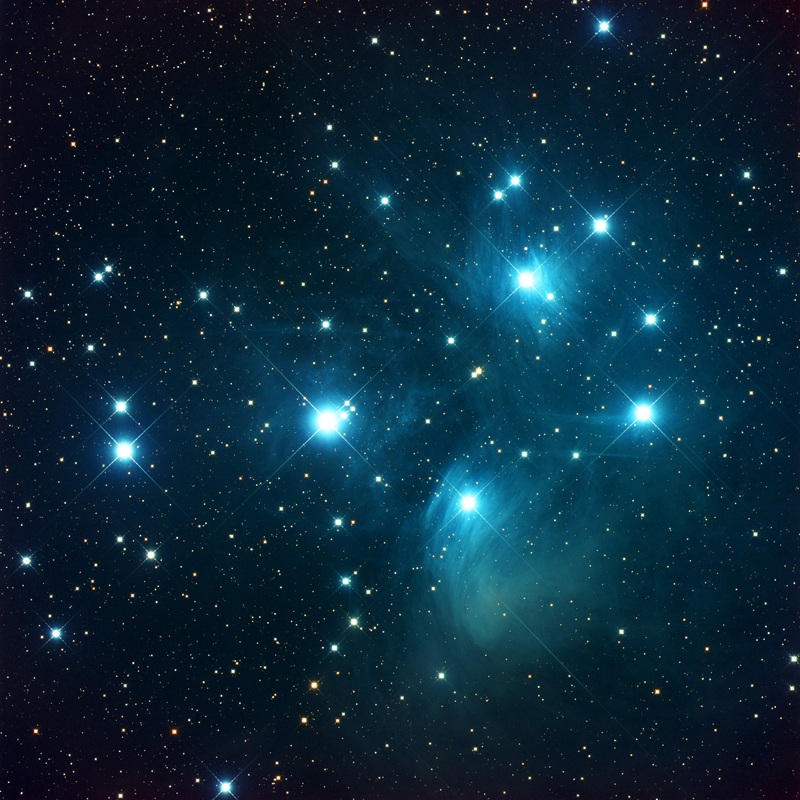 Images in astronomy books show wonderful blueish nebulosity, but only stars could be seen in the telescope. I wondered how well the nebula can be shown on the CCD image. It is very well visible, indeed. G4-16000 camera with RGB filters only, total exposure time 3 hours (1 hour per color channel). Same data, different processing. 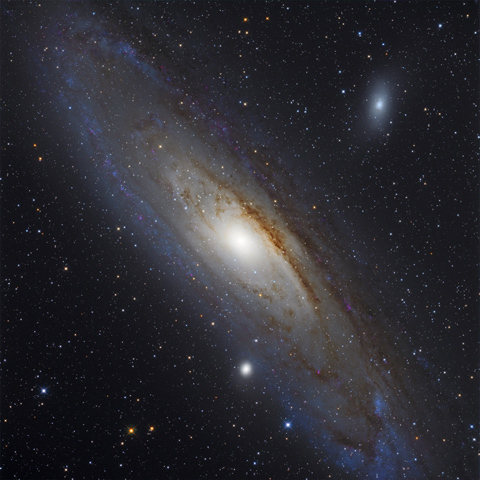 The image on the left is my best try to stack color image, image on the right was processed by Martin Myslivec using PixInsight. 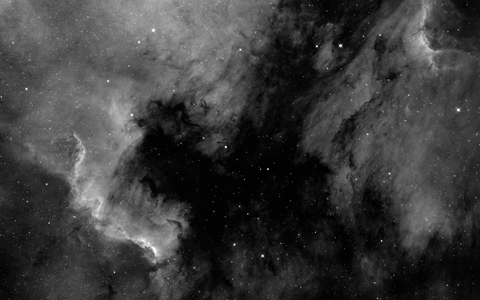 Obviously modern astrophotography is halft data acquisition, half image processing. 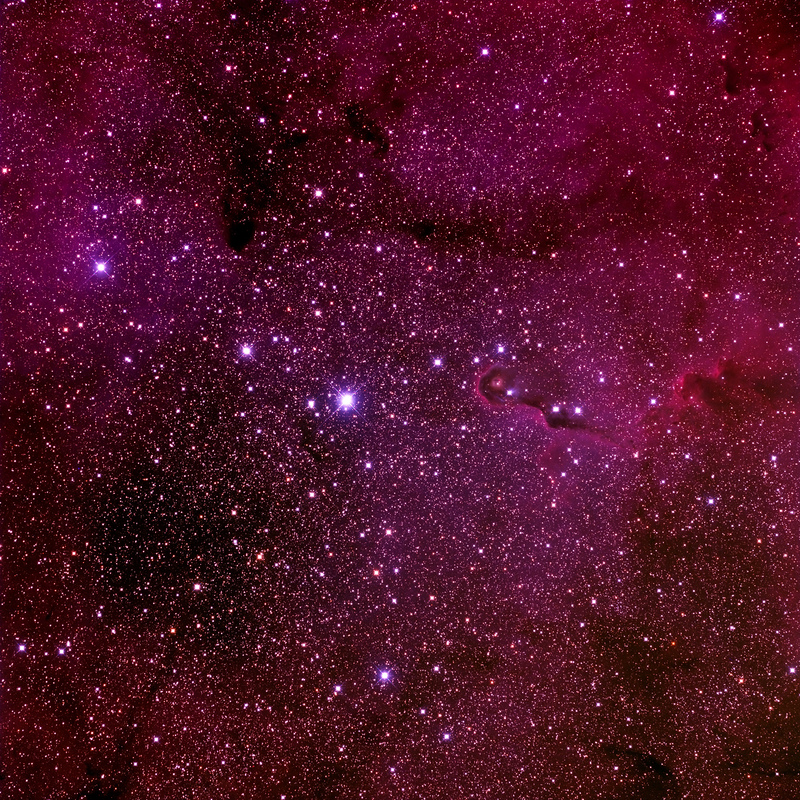 One more nigh of astrophotography with TCMT, the IC 1396 Elephant trunk nebula. 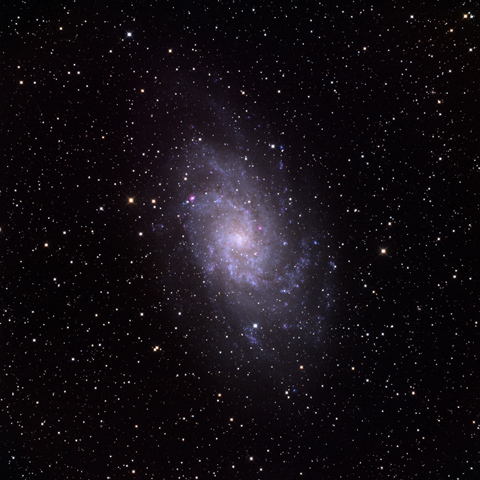 G4-16000 camera with RGB filters only (no luminance channel, no narrow-band exposures) with total exposure time slightly over 5 hours (left). And different processing, combining data from 2015-09-21 with data from another nigh 2015-10-02 another, but this time processed by Martin Myslivec using PixInsight (right). 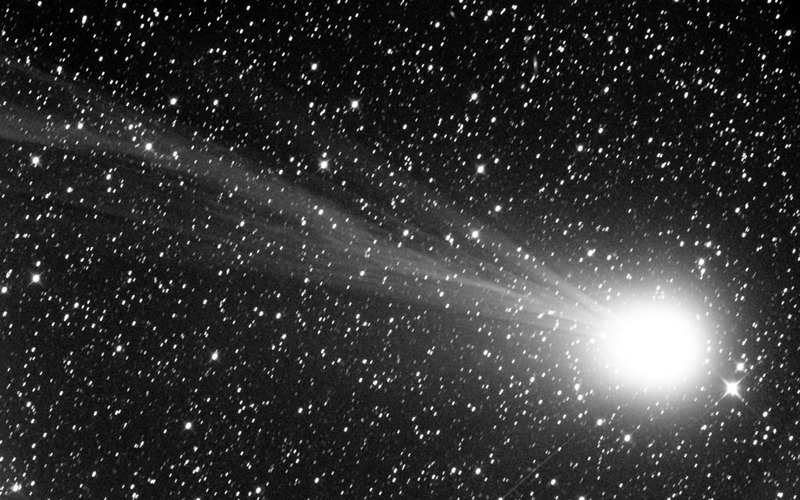 North America and Pelican nebulae in Cygnus are definitely H-alpha gems of the northern skies, so they are perfect targets to test the TCMT performance on some deep-sky object. Weather was definitely far from optimal, despite the Moon was only a couple of days old. Many high clouds significantly lowered transparency so it was not worth trying to do some photometry. 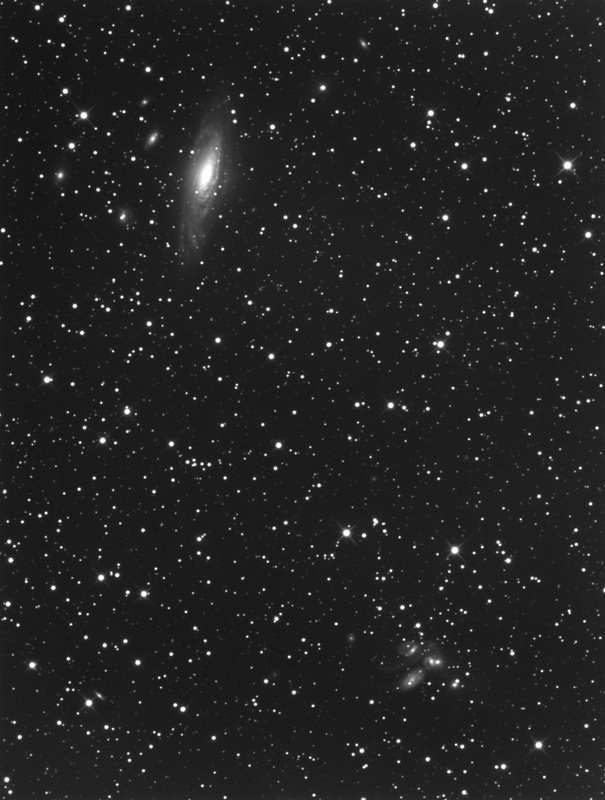 Mosaic of two frames captured by G4-16000 camera on TCMT. Exposure time approx. 40 minutes each frame through Baader 7nm FWHM H-alpha filter. And the same image with added color, captured as three individual exposures through Red, Green and Blue filters for approx. 8 minutes for each color channel. 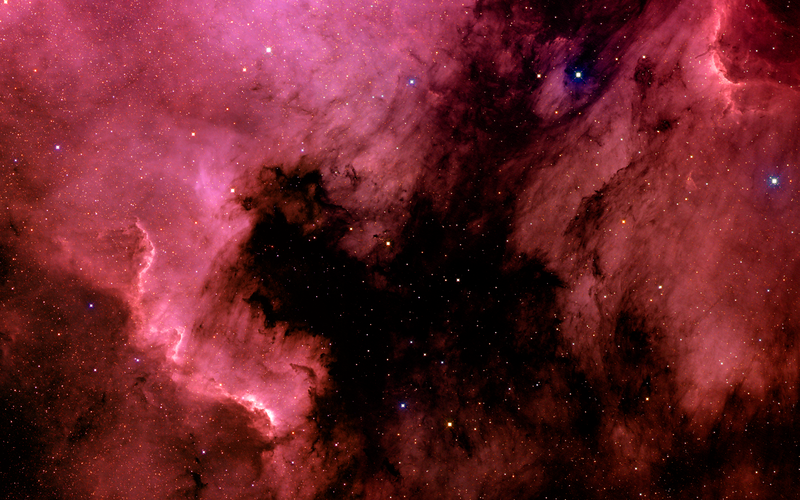 G4-16000 camera, exposure time is only 5 minutes, which is why the image is a bit noisy. M42 Great Orion Nebula together with smaller M43 nebula in the middle and NGC1977 cluster and nebula on the top. M51 Whirlpool galaxy (quite field of view for such small galaxy). 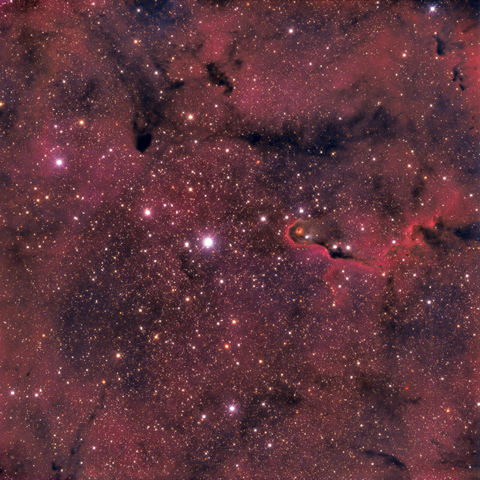 G4-16000 camera, exposure time 51 minutes Luminance, 39 minutes each Red, Green and Blue channels and 36 minutes H-alpha channel. 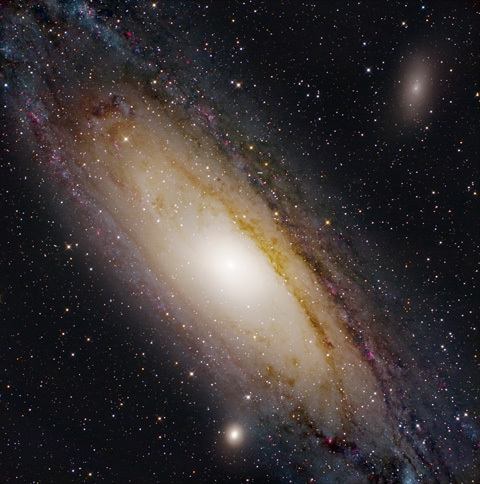 M31 Great Andromeda galaxy and its M32 and M110 satellite galaxies. Notice asteroid (372) Palma crossing the field of view. 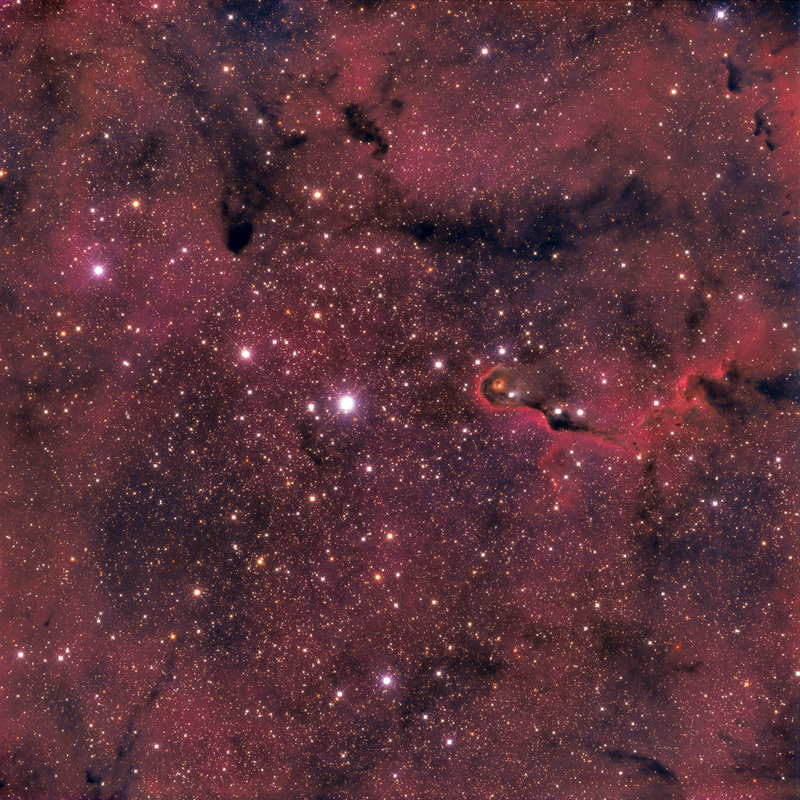 G4-16000 camera, exposure time 60 minutes Luminance, 40 minutes each Red, Green, Blue and H-alpha channels. Color channels stacked by Martin Myslivec. 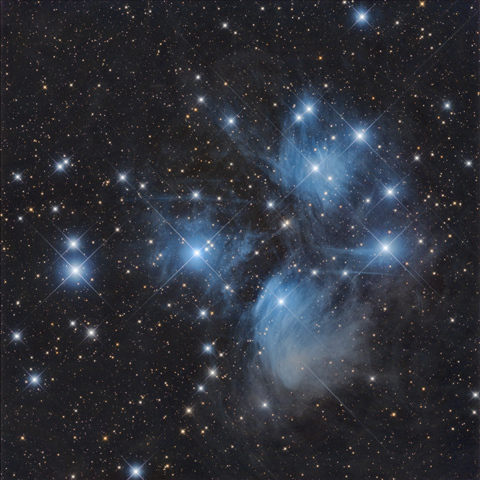 Hubble cepheid variable star can be easily resolved. 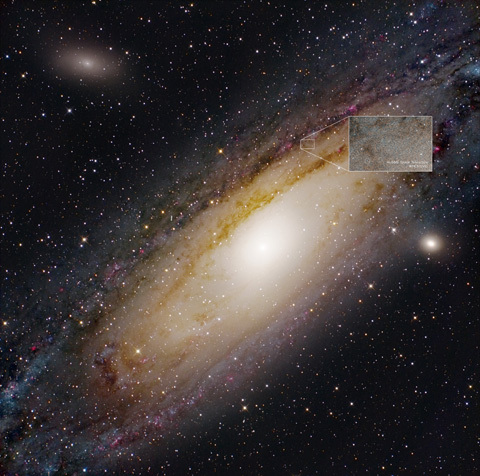 Image from HST inserted for comparison (whole image rotated to reflect HST image orientation). 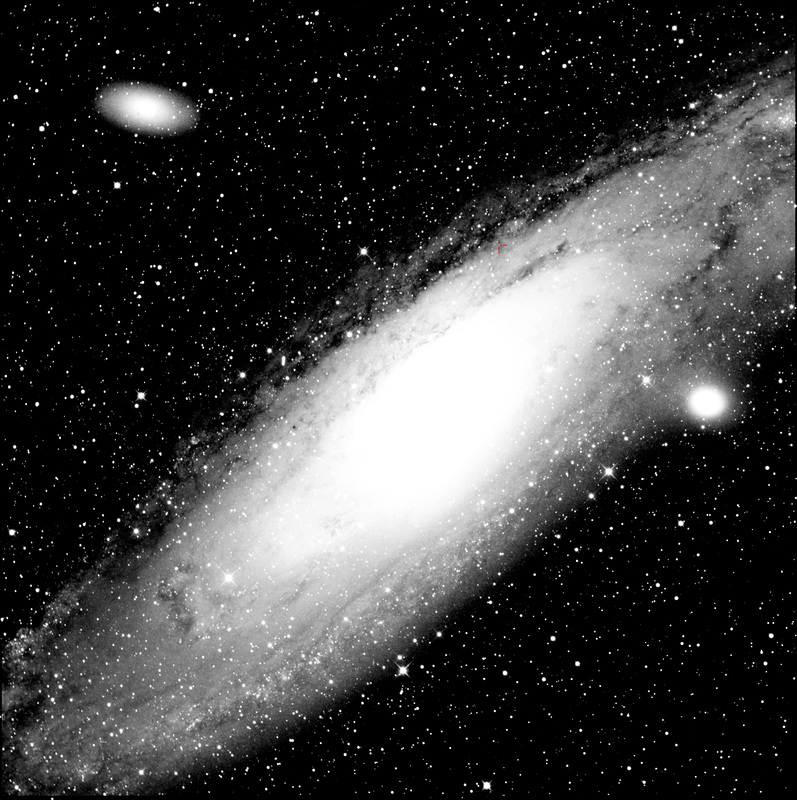 Hubble cepheid is better visible on stretched black-and-white luminance image. 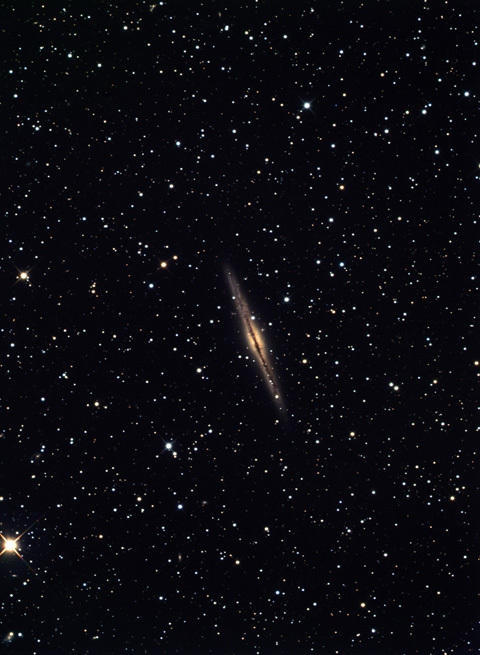 Cepheid marked with two red lines. Hubble needed 100-inch telescope to detect it, 10-inch (100-times smaller area) is enough with good CCD camera these times. G4-16000 camera prototype first light, exposure time 235 minutes Luminance, 75 minutes Red, 85 minutes Green, 70 minutes Blue and 160 minutes H-alpha channels. 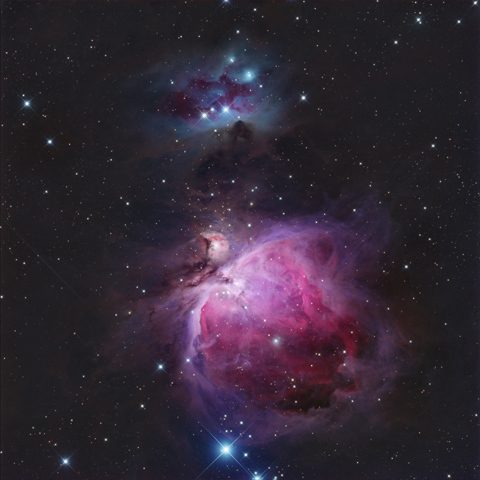 Camera G2-8300, exposure time 100 minutes Luminance, 40 minutes each Red, Green and Blue channels. Camera G2-8300, exposure time 130 minutes without filter. Image is not processed despite dark-frame subtraction. Camera G2-8300, exposure time 40 minutes without filter. Image is not processed despite dark-frame subtraction.